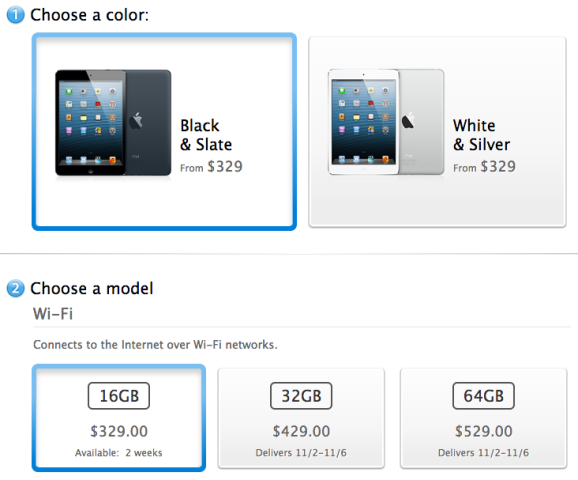 Looks like Apple Canada has sold out of its initial pre-orders for 16GB Wi-Fi models in black. The online order page now shows 2 weeks for the availability of the latter, whereas 32GB and 64GB Wi-Fi units still show a delivery date of “11/2 – 11/6”, which would mean an arrival on November 2nd depending on your delivery zone. For reference, the US Apple Store still shows availability for all black models. Yesterday’s initial iPad mini pre-orders for white iPad mini models started off with 2 week availability and numerous orders note a delivery date of November 21st. With the 16GB Wi-Fi model selling out of its initial pre-order, it’s a positive sign customers are placing orders for the new 7.9 inch tablet. It’ll be interesting to see how long it will take 32GB and 64GB Wi-Fi models to sell out of their initial pre-order stock. 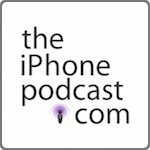 As for Wi-Fi + Cellular models, Apple does not specify an estimated delivery date for Canada other than “late November”, meanwhile our US counterparts have seen a November 23rd date. The new iPad mini will ship with a 5W USB power adapter, the same one used for the iPhone 5. Did you pre-order the iPad mini?